The Rita Allen Foundation has named its 2017 class of Rita Allen Foundation Scholars, celebrating seven young leaders in biomedical science whose research holds exceptional promise for revealing new pathways to advance human health. The selected Scholars will receive grants of up to $110,000 annually for a maximum of five years to conduct innovative research on the role of microbes in intestinal health, the prevention of chronic pain, and the complex signals that shape development and disorders in the brain. These Scholars are distinguished by their bold approaches to basic scientific questions that address problems of global concern, as well as their potential for learning, leadership and collaboration. Five of the Scholars were nominated by research institutions in the United States and selected by the Rita Allen Foundation’s Scientific Advisory Committee of leading scientists and clinicians. Two of the Scholars were selected for the Rita Allen Foundation Award in Pain in partnership with the American Pain Society. This marks the ninth year of this collaboration, which supports early-career researchers who aim to understand and alleviate pain. Since 1976, the Rita Allen Foundation has invested in more than 150 biomedical scientists at the early stages of their careers, enabling them to pursue research directions with above-average risk and promise. Scholars have gone on to make fundamental contributions to their fields of study, and have won recognition including the Nobel Prize in Physiology or Medicine, the National Medal of Science, the Wolf Prize in Medicine, the Lasker~Koshland Award for Special Achievement in Medical Science, and the Breakthrough Prize in Life Sciences. Project: How do signals from resident bacteria keep the intestines healthy? 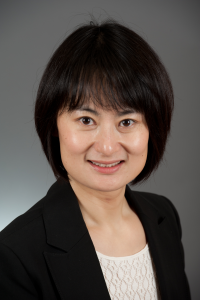 Motivated by a desire to advance strategies for environmental protection, Dingding An began her undergraduate education in environmental engineering at Tsinghua University in Beijing. She took many courses in chemistry and physics, but was increasingly drawn to biology. An’s research experience at Duke University helped her make this transition—she chose a laboratory that focused on the remediation of pollution by microbial processes, and discovered she had a keen interest in working with bacteria. In her doctoral research, An explored how multiple species of bacteria grow, survive and compete in communities called biofilms, which are known for posing problems in food production and medicine. During the course of her Ph.D., she followed her mentor, Matthew Parsek, from Northwestern University to the University of Iowa, and finally to the University of Washington School of Medicine in Seattle. This exposure to diverse biological research environments inspired An to pursue research on host-microbe interactions. As a postdoctoral fellow in Dennis Kasper’s lab at Harvard Medical School, she began using mouse models to examine microbes that function not as pathogens, but as partners. She studied how bacteria living in the intestine modulate the immune system and protect the host from inflammatory bowel disease. An found that this protection is conferred in part by unique yet abundant bacterial molecules called sphingolipids. Now, An and her team are seeking a fuller understanding of sphingolipids in intestinal health. Their research will address why these bacterial signals seem to be important early in life, and how sphingolipids affect the production of mucus, which forms a critical barrier between bacterial cells and the host’s intestinal cells. “Eventually, I think we could identify specific sphingolipids produced by bacteria and use them as therapeutics to specifically help patients when they have a mucus production problem,” she says. Project: Can a targeted intervention prevent chronic pain after spinal cord injury? The experience prompted Baumbauer to switch gears, taking extra biology courses in preparation for graduate research in behavioral neuroscience. At Kent State University, he studied molecular mechanisms that allow neurons in the spinal cord to mediate learning and adaptation to the environment. This research contributed to an emerging view of the spinal cord not merely as a channel for signals traveling to and from the brain, but as a dynamic group of nerves with important effects on behavior. Baumbauer continued this area of research while a postdoctoral fellow at Texas A&M University, and explored how environmental stimulation impacts spinal cord function. During another fellowship at the University of Pittsburgh, he transitioned to a new field and began examining how injury and inflammation change peripheral sensory neuron function, which gave Baumbauer the opportunity to combine his training experiences. 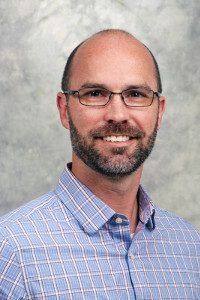 Since starting his own laboratory at the University of Connecticut in 2014, Baumbauer has turned his attention to spinal cord injuries—specifically, to the question of why these injuries often provoke chronic pain responses, even in areas of the body where patients have lost all other sensation. The pain signals originate from so-called “primary afferent” neurons that transmit sensory information from peripheral parts of the body. Baumbauer’s work has shown that these neurons exhibit marked changes in the expression of pain-related genes within one day of an injury. The Rita Allen Foundation award will allow him to examine the role of one of these genes, ASIC3, in triggering chronic pain. Baumbauer hypothesizes that ASIC3 functions as an “injury detector” within the cell bodies of sensory neurons. He and his team will test whether targeted silencing of ASIC3 in a mouse model can prevent the development of chronic pain. “If we can track what the critical changes are, we can intervene immediately,” he says—a rare opportunity to stop chronic pain before it starts. Richard Daneman has been designated the Milton E. Cassel Scholar for the 2017 class of Rita Allen Foundation Scholars. This special award honors the memory of a long-time President of the Rita Allen Foundation who passed away in 2004. Project: How does the blood–brain barrier influence the activities of neurons in the brain? Richard Daneman grew up in an academic family. His parents, a cognitive psychologist and a pediatric endocrinologist, sometimes enlisted him and his brother to serve as research subjects. From an early age, Daneman says, he was attracted to the “amazing adventure” of science: “I loved asking a question that had no answer and trying to work out different ways that you could solve a problem.” As an undergraduate, he got involved in projects to develop new laboratory techniques—to measure fine-scale pH changes within cells, and to analyze gene expression patterns in fruit flies. Daneman conducted graduate work at Stanford University with Ben Barres, a neurobiologist known for research on glial cells, which make up a large proportion of cells in the nervous system but are vastly understudied. The Barres lab was an ideal setting for Daneman to pursue another overlooked aspect of the nervous system: the blood–brain barrier. 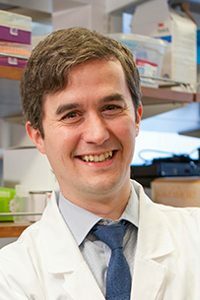 He led studies to identify molecular signals that give blood vessels in the central nervous system their unique properties—unlike the “leaky” blood vessels in other tissues, they restrict the movement of toxins, pathogens and immune cells. Project: How does the matrix of proteins that surrounds neurons affect changes leading to chronic pain? A native of St. Petersburg, Russia, Arkady Khoutorsky moved to Israel to pursue studies in life sciences. His love for animals led him to train as a veterinarian, while also conducting doctoral research in neurobiology. Some of Khoutorsky’s earliest work explored molecules affecting the properties of synapses, the junctions where nerve cells connect and transmit signals. He employed a distinctive model organism called Aplysia, a sea slug known for its quick reflexes and valued for its relatively simple nervous system. During his postdoctoral fellowship at McGill University, Khoutorsky expanded his work to more complex mammalian systems. He investigated how regulators of protein production enable neural plasticity and memory formation in the brain’s hippocampus. Then, he says, “I got interested in pain, because it’s another system where neural plasticity plays a major role.” The importance of control of protein production in pain was just starting to emerge. “It was a novel field where I felt I could contribute a lot,” he adds. In his new laboratory at McGill’s Alan Edwards Centre for Research on Pain, Khoutorsky is examining how neuronal circuits in the spinal cord are remodeled to promote sensitivity to pain. He is interested in the extracellular matrix, a network of proteins that surrounds neurons. In the brain, this matrix appears to restrict the ability of neurons to form the new structures necessary for learning and memory. Enzymes that degrade the matrix are activated in some chronic pain conditions. Khoutorsky and his team will investigate how such degradation impacts spinal cord neurons that normally inhibit pain signals. They aim to determine how changes in the extracellular matrix might enable the neurons to become “hyperexcitable” and inappropriately propagate pain. Project: How can chronic stress change neural circuits and lead to depression? Stephan Lammel has a longstanding interest in medicine, and began training as a pharmacist with the intention of taking over his family’s business. During his pharmacy residency, he grew frustrated with the limitations and side effects of currently available medications—particularly for neurological disorders such as Parkinson’s disease and schizophrenia. Then he met a researcher, Jochen Roeper, who was studying how dopamine neurons degenerate in Parkinson’s disease. Lammel was excited by the opportunity to explore the underlying neurobiology of the dopamine system, and to make discoveries that could guide more effective therapeutic approaches. He joined Roeper’s lab as a master’s student, and later pursued a Ph.D. His work helped to reveal diversity in the properties of dopamine-containing neurons. 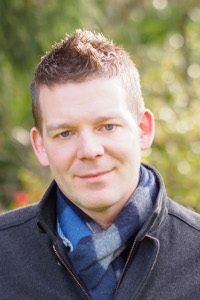 As a postdoctoral scholar in Robert Malenka’s lab at Stanford University, Lammel continued investigating dopamine neurons, including neural circuits involved in reward and motivation. Project: What are the molecular mechanisms of working memory? As an undergraduate, Conor Liston became fascinated by the science of learning and memory, and by larger questions of how the brain gives rise to consciousness. “One of the things that attracted me to neuroscience was the potential for discoveries that would transform the way we think about ourselves as people, and also could potentially transform the way we think about diagnosing and treating disorders of the brain,” he says. 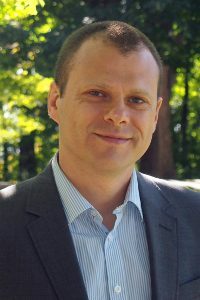 Liston’s desire to improve the understanding and treatment of mental illness led him to pursue an M.D.-Ph.D. During his psychiatry residency at NewYork-Presbyterian/Weill Cornell Medical Center, he also conducted postdoctoral research with Wen-Biao Gan at New York University, investigating how stress hormones affect neural connections critical for learning. 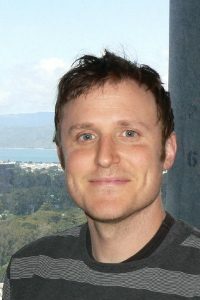 This research fueled his interest in new technologies for visualizing and experimentally manipulating activity in the living brain, and led him to a fellowship at Stanford University. There, Liston worked in the laboratory of Karl Deisseroth, known as a pioneer of optogenetics—a technique for controlling and monitoring neurons using specific wavelengths of light. Liston used optogenetics and other new imaging methods to explore the neural circuitry of fear responses and reward-seeking behaviors. Now, Liston, an assistant professor of neuroscience in the Feil Family Brain and Mind Research Institute, treats psychiatric patients in the clinic, and leads a research program on the neuroscience of learning, memory, stress and depression. Support from the Rita Allen Foundation will allow Liston and his team to investigate the basis of working memory—the type of memory that operates when we remember and call a phone number, but forget it a few hours later. Working memory “is both stable and robust enough to not be interfered with by irrelevant information in our environment, but also labile enough to be easily deleted and replaced with new information,” Liston explains. “That’s an interesting paradox: How does our brain register memories that have these two competing qualities?” He plans to examine how different subtypes of neurons interact to achieve this balance—and how it can be disrupted in conditions such as depression. Project: How does a modification of RNA influence the brain’s development and activity? As a child, Kate Meyer had ambitions of becoming a surgeon, and entered college on a premedical track. A course on abnormal psychology fueled her fascination with the brain’s complexity, and she switched her focus to neuroscience. She helped with a research project on the neural basis of taste, which involved “scoring rat behaviors for hours on end, and loving it,” she recalls. “I was super excited to do literally anything” in the laboratory, Meyer adds. She sought further training in neuroscience as a Ph.D. student in Jill Morris’ lab at Northwestern University, where she investigated the expression pattern of a gene implicated in schizophrenia and assessed its role in the developing brain. During a postdoctoral fellowship with Samie Jaffrey at Weill Cornell Medical College, Meyer delved into the biology of RNA. She led a comprehensive analysis of an RNA modification called m6A—the methylation of adenosine residues, a chemical marker that can influence whether an RNA molecule is translated into protein. 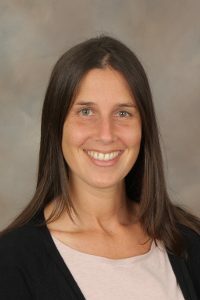 Using next-generation sequencing, Meyer and her colleagues showed that the modification is widespread among thousands of genes in mammals, and that its prevalence increases in the brain during development.